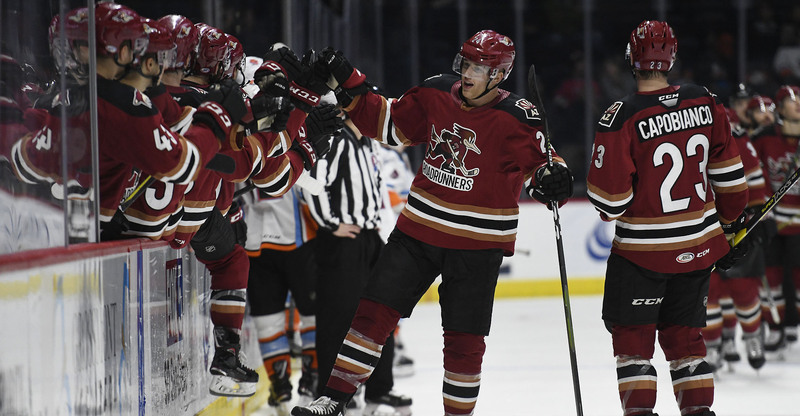 Improving to a 5-0-0-0 mark against the Gulls this season alone, the Roadrunners had to overcome an early deficit, San Diego’s Corey Tropp potting the lone goal of the first period. Early in the third, Cam Dineen found the back of the net with a wrist shot from the point, beating Kevin Boyle high to the blocker side, scoring the first goal of his professional career. Dineen’s goal gave the Roadrunners a temporary 2-1 lead. San Diego’s Kalle Kossila would once again tie the game, this time at a 2-2 count, with 9:49 to play in regulation. 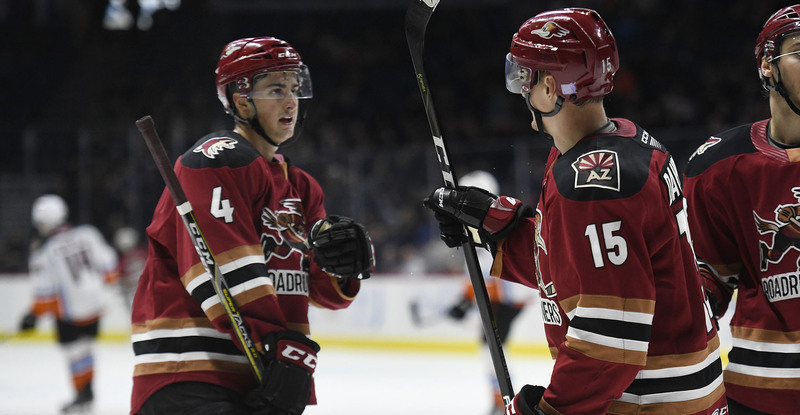 Connecting on a three-pass sequence with less than five minutes left in regulation, Adam Helewka buried the Roadrunners’ fourth goal of the evening, putting the finishing touches on a well-executed zone entry with Michael Bunting and Kyle Capobianco to give the Roadrunners a 4-2 lead. Hudson Fasching added an empty net goal with seven seconds left on the clock, putting the final tally on the board in the team’s 5-2 win.